NucSpot® Far-Red was designed to be an improved alternative to the popular flow cytometry dead cell dye 7-AAD. 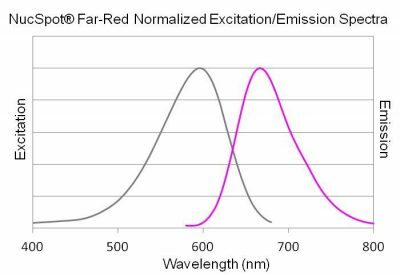 Like 7-AAD, it can be excited with the 488 nm laser for detection in the PE-Cy®5 channel, or excited with the 633 nm laser for detection in the APC channel. 7-AAD Plus has similar brightness to 7-AAD in the PE-Cy®5 channel, and is much brighter in the APC channel. 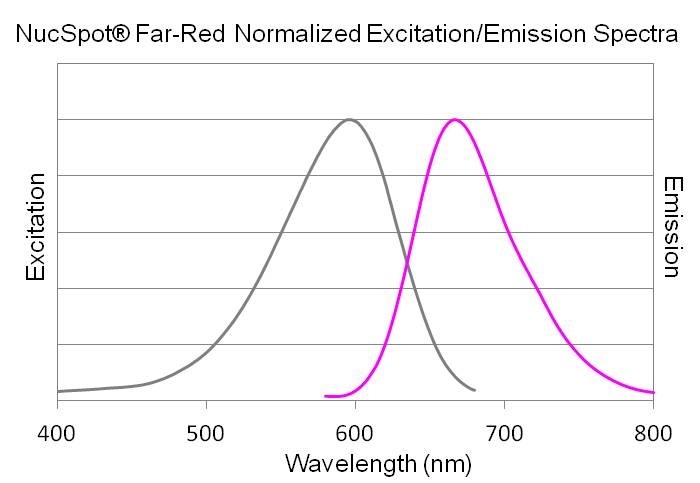 Because its emission peak is red-shifted compared to 7-AAD, it has less bleed-through fluorescence in the PE-Texas Red® channel, making it useful for flow cytometry multiplexing. NucSpot® Far-Red is excluded by live cells, but stains necrotic and late apoptotic cells with compromised membrane integrity. 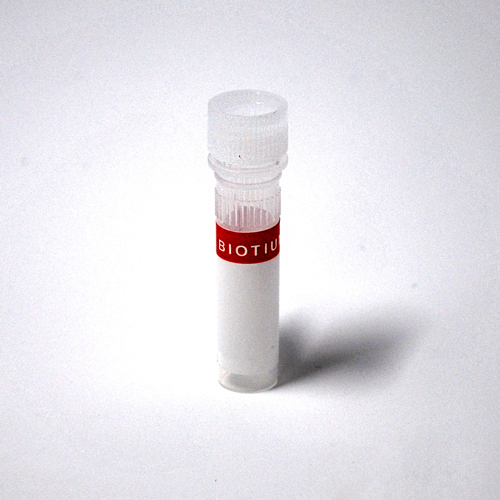 Like 7-AAD, NucSpot® Far-Red also can be used for DNA content analysis of cell cycle by flow cytometry in fixed and permeabilized cells without the need for RNase-treatment, unlike propidium iodide. Cy dye is a registered trademark of GE Healthcare; Texas Red is a registered trademark of Thermo Fisher Scientific.